Hey guys! I’m sorry for the slow updates, life always finds a way to come between you and your hobbies. 😂 I thought I’ll tackle the Rohrer & Klingner line-up before moving onto something else. I personally really like their inks, have tested them all previously before starting Pennonia. 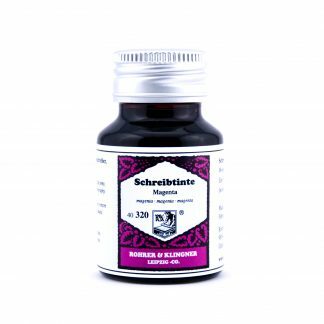 Generally Rohrer & Klingner inks are characterized by being wet inks that flow really well. 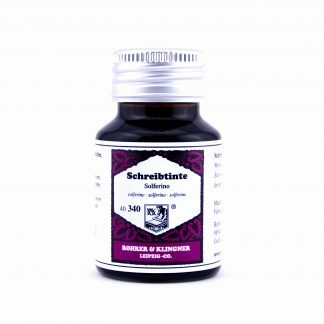 Some of their colors are also rather unique and the colors that can also be found from other ink makers (well to be fair, really similar colors, not the exact ones) also write and look great. Today’s choice was their Alt-Bordeaux color. 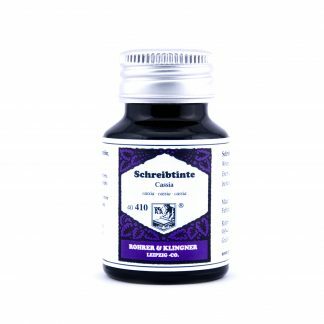 The name of the ink and the color match perfectly and let me tell you why. In fact I’m going to start by telling you why I decided to start with this color specifically. Christmas is almost upon us and Christmas fairs are everywhere. One of the staple drinks of every Christmas fair is mulled wine. 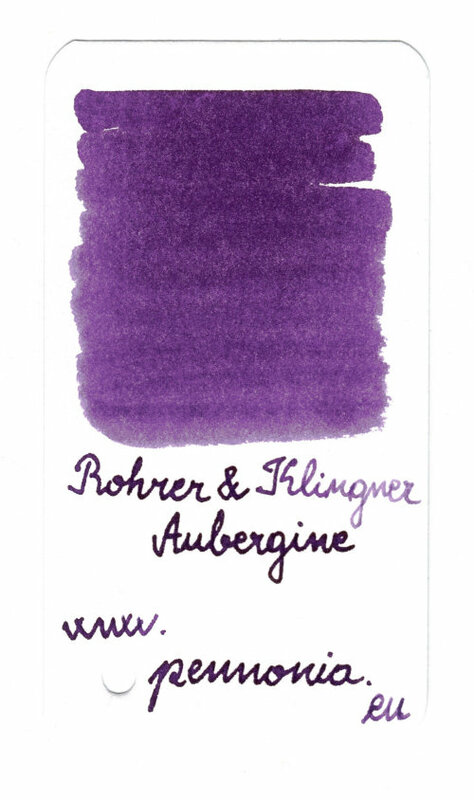 So me and my girlfriend decided to make some at home and it just so happens that if red wine dries it will have the same color as Rohrer & Klingner’s Alt-Bordeaux. Now the name is fitting because “Alt” in German means “old” i.e. dried wine. 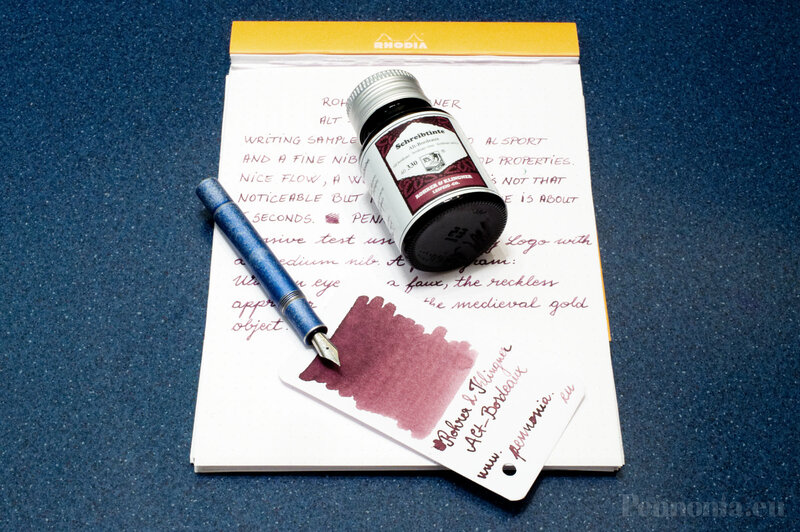 Bordeaux is a wine making region in France (much like Burgundy, both of which are also color names) so the translation of the ink’s name would be “Old Wine”, which this ink definitely looks like. I’m sorry for getting into the linguistics part 😂 I was an English major and I like to babble about grammar, translation etc. Some of you may have already heard this but I thought it’s a good thing to know nonetheless. 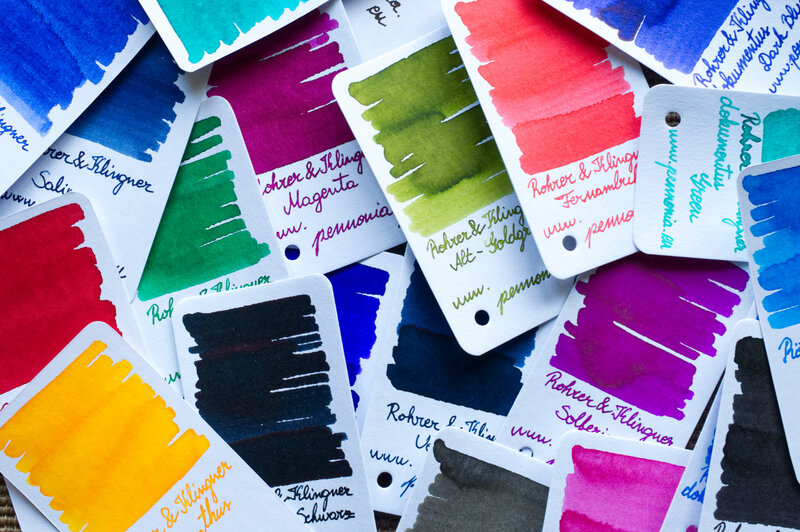 Parker recently updated their lineup of pens and inks. This means that ink swabs around the internet no longer represent what you might get in the store. Luckily it’s fairly easy to tell the new ink apart from the old one because the boxes have been redesigned. As you can see from the pictures, the old Parker Quink Blue Black had a green/teal color while the new formulation this time around is actually blue instead of green, however I wouldn’t necessarily call the new color a blue-black. 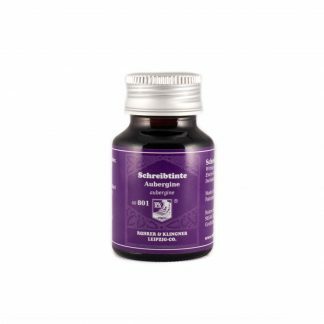 So until the old stock clears from all retailers you might end up with the old bottle or vice versa, you might want to get the old teal colored Blue-Black but you’ll end up with the new formulation. It’s also interesting to note that Parker and Waterman share the same parent company and if you look at it closely the new Parker Blue-Black looks suspiciously similar to the Waterman Mysterious Blue. I’ll post the two ink swabs side by side and I’ll let you decide whether they are the same inks or not. 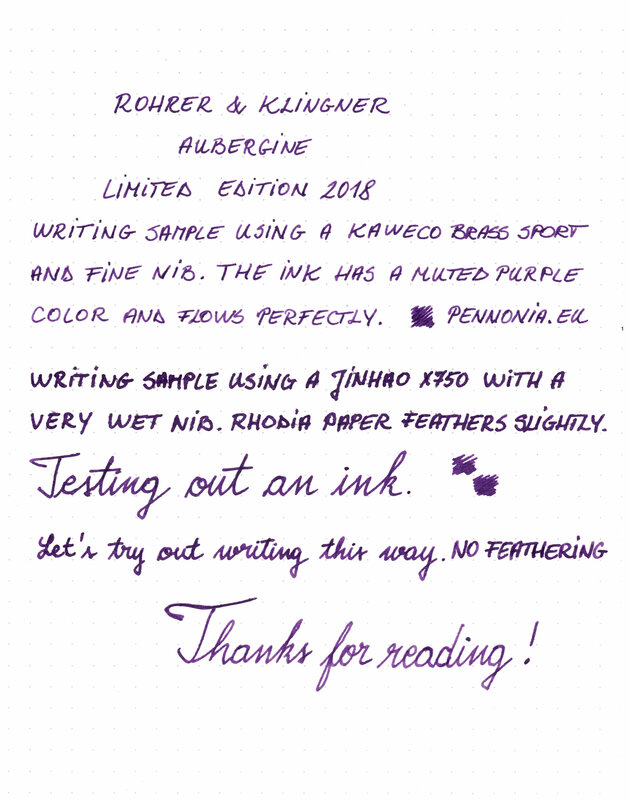 We also had a conversation about this over at The Fountain Pen Network, if you’re interested to see what others think, you can also check out the thread here. I’d still love to hear your thoughts in the old and new Parker Blue-Blacks. Which do you like better? 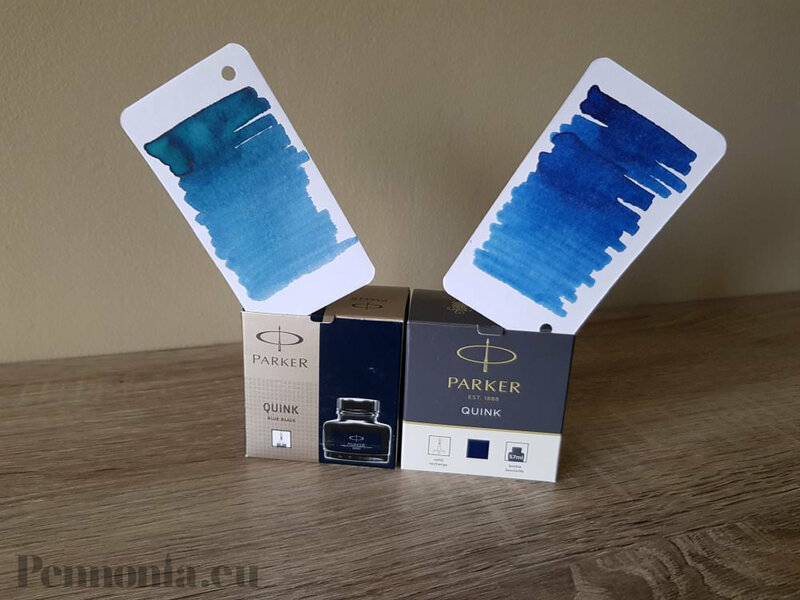 Is the new Parker the same as the Waterman Mysterious Blue?